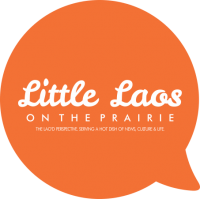 As Little Laos on the Prairie blog celebrates its two-year anniversary of trailblazing the online presence of Lao voices, I’m embarking on a journey with my own little laptop and a good camera to collect the stories and capture the faces and spaces that connect the experiences of our Lao diaspora communities. Fellow photojournalists from the US on the West Coast, East Coast, Midwest, and the South as well as Laos are all contributing in this global photo essay effort. But why does this matter to any of us, right? I’m sure that’s what you’re asking. Who are the Lao? Where are the Lao? Lao Americans have been in the US for over 40 years, yet many are still unaware of who we are. Have the Lao fulfilled our American Dream? How about those in Laos today? Post-war, who are the Lao in a fast developing country? Our stories matter and we have to grasp what they are and share their meaning to the rest of the world. I’m not only interested in the diaspora communities but how our journeys have been similar or different and how many Lao themselves are navigating the new Laos. Laos is changing and so are the Lao who grace the world map. What is happening in this shift is impacting all of us on an international scale. While the US was under water economically and socially, Laos was booming with the strongest GDP and yet the widest social gap the region has ever seen. While Minnesota’s local media was so focused on Amy Senser and her tragic hit-and-run of Anousone Phanthavong, no one cared to talk about who the Lao American was and what he left behind. It’s the far and the few. Sure, there are themes with any immigrant community: good and bad and maybe just not that exciting. We’re talking about welfare. Assembly lines. Gang violence. Gambling. Then there’s strength. Resilience. Achievement. Progress. And sometimes just simplicity. I don’t label myself a storyteller, but rather the medium who provides the lens and platform for the Lao to share their own stories. Through their eyes, expressions, and space. No barriers and no bridges in their own voice. The Lao Diaspora Project: A Photo Essay is a photojournalism project that strives to collect the stories and capture the faces of Lao communities in Minnesota, the US, and across Laos. We need your help to make our photo essay journey a reality. Our team has been volunteer-based and we have highlighted many stories of the Lao on our own time and money. So please help support our work by donating here: http://www.gofundme.com/4sw8jw. I can’t stress it enough: We have till November 13th to reach our initial goal of $3,000! It’s all or nothing folks…so we get ZERO if we don’t meet it. The stories from the Lao matter. other states to collect the stories of the big and small Lao communities that grace the US. We would love for local Lao community photojournalists to capture their own community’s stories to contribute to the project. This also helps lessen travel costs and brings a local lens to the forefront. Please contact Chanida at editor@littlelaosontheprairie.org if you’re interested. Please share this with your friends and family. Thank you for your support over the years. Next PostHalloween Round Up: Phi Galore!